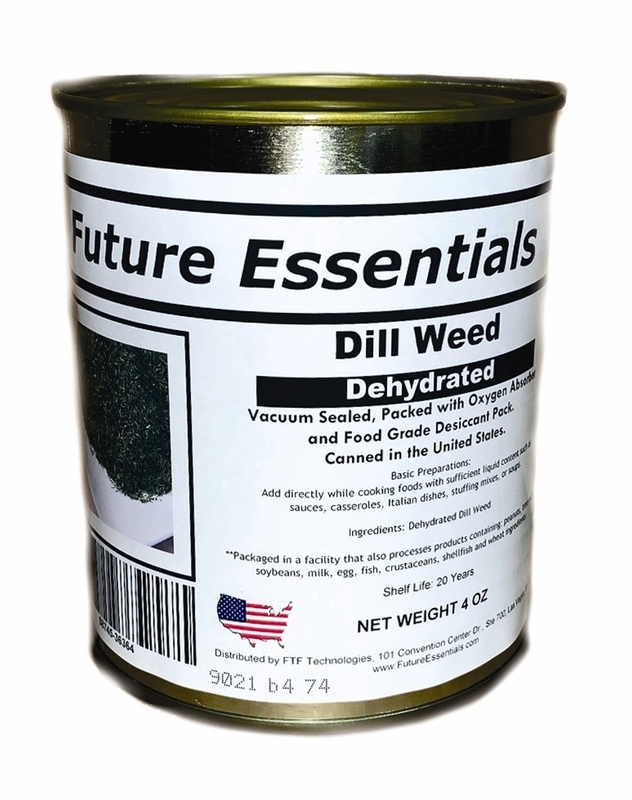 Dehydrated dill weed tops - about 1/16" long. They are an excellent source of Vitamins A and C, Calcium, and Iron. 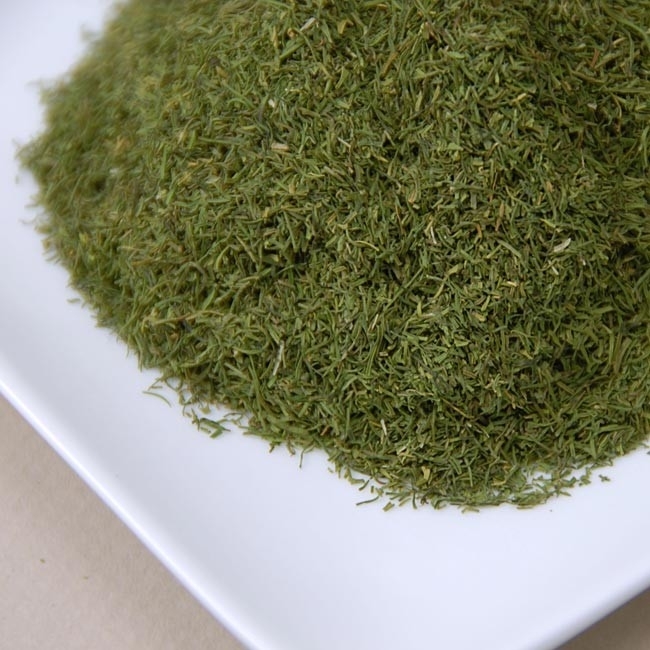 Dill weed is often added to sauces, casseroles, Italian dishes, stuffing mixes, and bread. Add them directly to the dish while cooking. Alternatively, you can hydrate them in ice water for 5 minutes (1 part of dill with 3 parts of water). 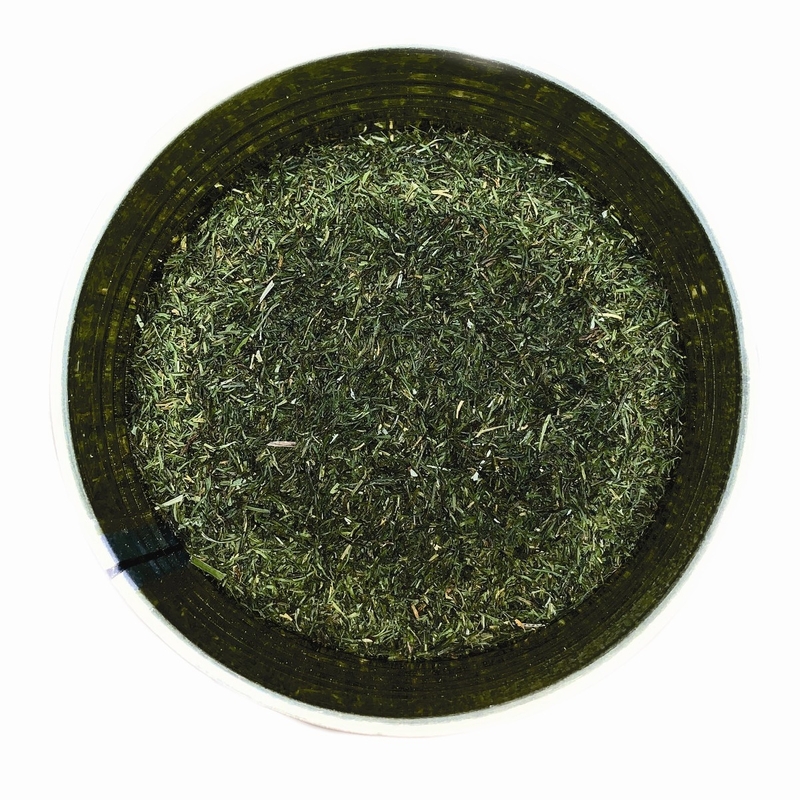 1 oz equals 3/4 cups of dried dill weed. 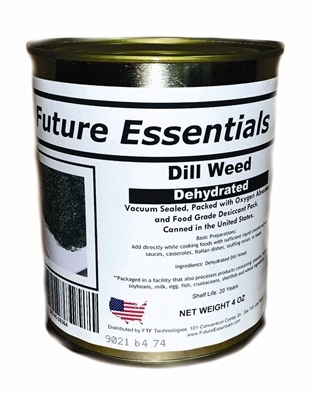 Once rehydrated, dill doubles in volume. 100% US, canned for us under our label - not available in any retail store in the U.S. No additives or preservatives. Add directly to dishes or rehydrate in ice water for 5 minutes.